Ancient wisdom traditions recognise that heart intelligence and inner wisdom are born from personal experience, self-love, self-responsibility and the wholiness that is forged from daily activity– that life itself is an art and those devoted to its mastery, its artists. Each year we offer retreat opportunities to help people unwind and unplug, mend separation and fatigue, harmonise the mind, purify the body, set intentions and gain insight while communing with Nature, Spirit and extended states of Consciousness. Each retreat is an opportunity to consciously cleanse and recalibrate, engage holistic lifeways and awaken beyond duality-based paradigms. Our retreats are experientially based and universally accessible to help individuals from all backgrounds reconnect to intuitive intelligence, realign with life purpose and embody loving presence. "After the retreat I feel a much deeper sense of connection towards myself and all life around me; a lot of gratitude and trust, a sense of true purpose, more tranquility, a clearer awareness and more energy to work with. It's like starting a journey into a new world..."
This is an opportunity to work directly with the Altomisayoqs and Apus (Mountain Spirits) of the Andean-Inkan Holy Mountain Tradition. This retreat is open to anyone who hears the call to awaken, occupy their hearts’ wisdom and take their place in the New Earth reality being birthed at this time. Adolfo Ttito Kuntur, Doña Maria Apasa and Jeffrey Huamanchiq Wium take closeknit groups of 12-15 people deep into the ancient celestial-terrestrial practices and lifeways that have sustained one of this planet’s few unbroken wisdom traditions. Participants undergo an immersive healing experience based on their time living the Paqos, learning their heart-centric practices and doing ceremony at sacred locations high in the animistic landscape that is the Andes. No medicinal ceremonies are part of this tradition. We meet in Cusco, Peru and travel to our retreat center situated in a traditional agricultural community next to Lake Pomacanchi. This natural setting provides a beautifully conducive atmosphere to unwind and explore your inner world while experiencing the ancient Andean lifeways. Each day begins with centering and meditation, then moves into directed learning and harmonisation practices to help balance the mind-body and strengthen one’s connection to Mother Earth. These days are dedicated to Andean wisdom teachings and working ceremonially to enliven the Spirit. Light to moderate walking is required to access various locations. Afternoon and/or evening hours provide participants space for discussion, relaxation and contemplation. The overall structure of the retreat offers ample opportunity to explore, go within, find new perspectives, converse with the Paqos and gain understanding of their animistic, multi-dimensional reality. After four days in Pomacanchi, we travel deeper into the mountains to camp at the foot of one of the primary Holy Mountains that guide the lineage. This part of the journey is a dedicated spiritual pilgrimage into the heart of the Andean celestial tradition. Participants are able to go deeply into personal healing while exploring higher aspects of the universal cosmology and animistic consciousness held in the Andes. Daily activities focus on practical techniques, harmonization, attunements, ceremonies and receiving energetic transmissions. The nature of the work is both individual and collective in nature, spontaneous and heart opening. It helps you more connect with your Inner Source and the world around you. We will be operating in mountainous regions at elevations up to 15,500 feet / 4,750 meters. Participants need to be in good physical, mental and emotional health, be open and authentic, and able to manage themselves in unfamiliar environments. Over the years participants have rarely experienced altitude related problems. This is due to the preventative protocols we use to address the mental-emotional-energetic blockages that are the root of dis-ease. While on the journey, all of your needs will be supported by an experienced team of Paqos, assistants, porters and chefs to provide participants optimal space for their unfolding. Hot meals are provided three times a day with most dietary needs able to be catered to with advanced notice at registration. While camping, individual tents are provided for each traveler. Please plan to arrive in Cuzco at least one day before the start of the trip in order to acclimate to the 11,000 foot / 3,350 meter altitude in Cusco. Please book your return flight out of Cusco no earlier than the day after the end of the scheduled trip. You will need to book your own hotel or Airbnb rooms in Cusco for the night we arrive back in town. The trip ends around 5pm / 17:00 on the last scheduled day. If you are interested in staying in Peru longer than our program dates, we ask that you schedule your extra travel and sight seeing BEFORE the trip dates. We have found that tourism after deep spiritual work can be difficult on the body’s energetic system and interfere with one's integration process. Planning a day or more of rest in Cusco and/or at home prior to jumping back into busi-ness is also highly recommended. CONTRIBUTION : $3,175 – All inclusive program and ground expenses for nine days. Participants are responsible for their own travel to and from Cusco and any personal needs for the duration of the stay. Space is limited to 15 people. REGISTRATION : Please contact Jeffrey Wium via the link provided below. We ask that you provide a photograph of yourself so we can place face to name, and let us know your intention for the making the trip. Due to the nature of high-mountain travel and extended ceremonial work we ask participants to consult with Jeffrey to answer any questions. DEPOSIT : After receiving our registration confirmation email, a non-refundable deposit of $1,600 USD is required to secure your place with the remaining balance due one month prior to the trip. Full payment is also accepted at time of registration. Special arrangements are available by request. Payments can be made by personal check in US Dollars, via transferwise.com or PayPal's "send money to friends and family" option (credit card payments incur a 3% processing fee). A detailed trip information sheet with payment info, gear needs and flight and hotel suggestions will be sent to you with your registration confirmation email. Cancellations within 60 days of the trip start date incur a 25% cancellation fee. Cancellations within 30 days forfeit all payments with 50% of the trip cost available to apply to a future trip within one year of the original retreat date. Special circumstance are taken into consideration. ADOLFO TTITO KUNTUR is a Peruvian born Altomisayoq in the Andean-Inkan Holy Mountain Tradition and a direct descendant of the Inka. His holistic wisdom comes from millennia of indigenous Earth & Star Keepers and Celestial Beings who have passed down their sacred knowledge from maestro to apprentice via traditional rites of initiation. He is one of the few Andean maestros who maintain embodiment of their ancient celestial wisdom. Adolfo has taken it upon himself to pass along these heart teachings to help support humanity's transformation. DONA MARIA APASA was called into the Andean-Inkan Altomisayoq lineage at 7 years of age and has been a cornerstone of its beauty ever since. Now, at 91 years young, she is a living testament to Spirit embodied, loving kindness, humour, grace and vitality. She says that in her younger years, becoming a mother unlocked the full power of her feminine energy and connection to Creator-Pachamama. She has seen nearly a century of change and human contamination, and yet, remains as clear and joyful as ever. JEFFREY HUAMANCHIQ WIUM began his study and apprenticeship in China and Tibet in 1996. He was initiated into the lineage of Andean-Inkan Altomisayoqs in 2007. Jeffrey facilitates an integrative approach to awakening and healing based on quantum energy medicine, somatic rebalancing, meditation, movement, yoga, qigong, reiki, sound-light therapy, prayer and shamanic practice. He is the founder of the Wisdomkeepers Project and Awakenings Wisdom & Wellness. These 5-Day retreats are an opportunity to dive deeply into yourself while being supported by nature and conscious community; to wake up to the wonder of life and find your inner expression. We will integrate active and passive yoga, meditation, stillness, somatic healing movement, silence and mindful dialogue. The retreat will be held in social silence, where you will be guided to discover the wonderful benefits of relaxing our habit of communicating outwardly to encourage deeper inner-communing. Jeffrey and Ayala bring together 40+ years of experience and practice in yogic, Buddhist, Shamanic and Holy Mountain traditions. They hold a safe and loving space for the masculine and feminine to come into its most graceful expression within and between each of us. REGISTRATION : Please contact Ayala via the link provided below. ACCOMMODATIONS /MEALS : £480 for single accommodation and all vegetarian meals. 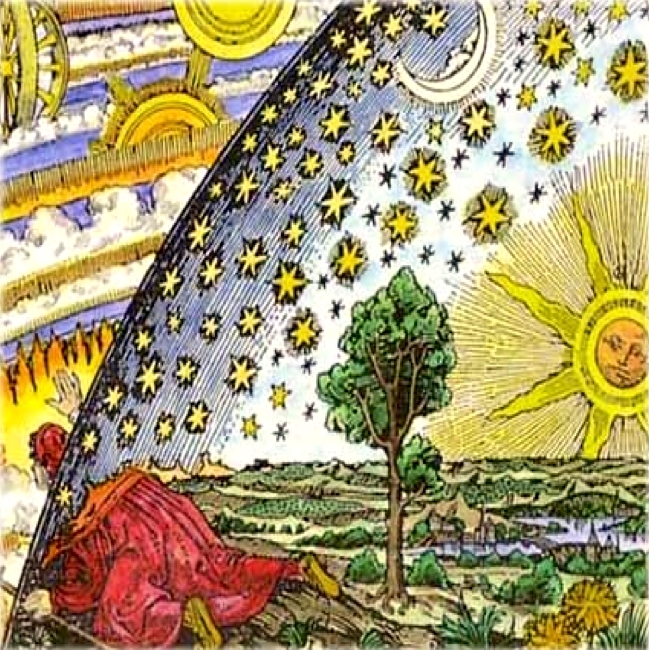 PAYMENT : For these retreats we operate using the Dana system, an ancient method of conscious energetic exchange/barter. After the retreat, we ask you to reflect on what you received and what you would like to offer in return for the support and teachings you received. We trust you to choose an amount that is appropriate for you and this type of work. We suggest an amount that feels like you are making a dedicated commitment to yourself, the work, and our time and energies. As a guideline, most people offer between £100-125 per day. AYALA GILL works with body, mind and heart as a gateway to establish sacred relationship with Life and to help people remember the balanced expression of wisdom, compassion and understanding as the basis of their natural essence. Yoga, mediation, movement, stillness, silence and conscious dialogue are used to reconnect to the nurturance of Mother Earth and the guidance of celestial energies that combine to help point us home. “I just wanted to say a really big thank you to you both. The program was truly incredible! I can see and feel, and have so much more clarity of the divine female and the divine masculine energies. My interaction with them is clear, which it has never been before. My whole being has opened up and my gratitude is immense. To be able to breathe again properly after such a long period of being shut down is like being given a cup of water after being in the desert for a long, long time!” – Samantha S.
”Ayala teaches yoga so that the poses become a vehicle to help our bodies feel grounded and stable, while also open-hearted and expansive- deepening the spiritual practice. Jeff’s work with energy and guided meditation has helped me come to a deeper understanding of what is happening in life and my reactions to it. He has helped me to reconnect to my own intuition and I deeply resonate with the way Jeff works and have felt so light and awake since working with him. Jeff and Ayala share a core intention of healing through guiding others to connect deeply to their inner self and act from a place of self-love and trust.” – Tara S.
Join Andean Elder Jeffrey Huamanchiq Wium for a deeply integrative healing retreat in the Julian Alps of Slovenia. This six-day retreat at Mount Triglav brings together ancient wisdom, somatic-shamanic practice, nature exploration, music, meditation and healing ceremonies to help people awaken to their true essence. This immersive program provides an opportunity to go deep into personal healing and visioning as you are guided by the ancient heartways of the Andean Altomisayoqs. Participants will focus on self-nurture, unplug and tune into their deeper knowing, connect with spirit forces and strengthen their relationships with earth, elemental and celestial spirits. Come, nurture yourself, awaken consciousness and embody loving presence. Partake in personal wellness, enjoy conscious community and participate in the greater human awakening as we embody lasting contentment in a world of constant change. MEALS : Vegetarian meals with organic vegetables from local markets and farmers. A gluten-free option is always available. CONTRIBUTION : € 1250 all inclusive. 50% deposit to secure registration. Final payment due by August 1st. REGISTRATION : Please contact Damijana Amaris using the email link below. DEPOSIT : A non-refundable deposit of €625 is required to secure your place with the remaining balance due one month prior to the retreat. Full payment is also accepted at time of registration. Special arrangements are available by request. Payments can be made via electronic bank transfer. Bank details will be given at the time of registration. Cancellations within 60 days of the retreat start date incur a 25% cancellation fee, within 30 days = 50%. Moneys over deposit amount may be applied to a future retreat within one year of the original retreat date. Special circumstance are taken into consideration. JEFFREY HUAMANCHIQ WIUM began his mystical studies in China and the Himalayas in 1996. He was called and initiated into the lineage of Andean-Inkan Altomisayoqs in 2007. Jeffrey bridges indigenous and modern culture, offering immersive programs and retreats to help people embody their Eternal Essence. He is the founder of the Wisdomkeepers Project and creator of the film Wisdomkeepers, Paqo Andino. Ancient Heartways and ceremonies of the Andean Altomisayoq, awakening consciousness, personal transformation, heart intelligence and quantum healing are the basis for this high mountain gathering. We will ascend ridge lines via gondola to reconnect with nature and expand perspectives, hike to glaciers to commune with Holy Mountains and interact with Consciousness to help transform our daily lives. We will come together in a small group to purify the physical-mental-emotional realms, meditate, attend to inner awakening and assist global transformation while working with quantum healing protocols. We will be based out of a comfortable lodge in the Tyrolean Alps of western Austria. Vegetarian meals are available and special dietary needs can be accommodated with advance notice. Evening hours are set aside as free time to allow integration, rest, reading, writing or sharing time with others. Adolfo Ttito and Jeffrey Wium present a 2-day weekend program and a 5-day intensive healing retreat in the Colorado Rockies this July. Adolfo and Jeffrey offer a blend of complementary teachings from the Andean Holy Mountain Tradition, Quantum Energy Medicine and Ancient World Traditions. 2-Day Weekend Program: This 2-day program will focus on information and techniques to help ease and align the process of awakening consciousness. Participants learn to see the sacredness of daily life, find opportunity in obstacles and pathways to loving kindness where one usually finds reaction and resistance. Stories, dialogue, guided meditation, energetic transmission and interactive exercises will help bring the information home in a very practical, and mystical way. 5-Day Retreat: Continuing on with the weekend offerings, Adolfo and Jeffrey will offer a 5-day intensive healing and embodiment retreat. They will guide participants in the sacred ways of the Andean Altomisayoq tradition. Talks, exercises, ceremonies and instruction will be offered to help participants understand how to operate in unison with terrestrial and celestial forces, overcome blockages and expand consciousness to embrace non-duality and co-creativity. Participants will learn to harmonize the mind, purify the body, set intention and gain insight while communing with the forces of Nature. This is a time for deep self-care, to cleanse and recalibrate, engage ancestral knowledge, receive energetic transmissions and embody ancient lifeways that exist beyond the trauma and drama of modern times. Daily activities include purification, harmonization and rebalancing mind-body-spirit to evolve overall consciousness. This is an invitation to awaken the wisdom that sits within you, birth knowledge from personal experience and nurture self-realization while connecting to the spirits of the local Colorado Mountains. This is important for reawakening our higher connections and strengthening animistic relationships near to where we live. This, my fourth trip to the High Andes, took me to an unexpected depth. It led me, my mind, gut and heart into my deepest wounds and fears– these retreat experiences never disappoint! I died to so many aspects of my self that no longer serve my highest path. It was excruciating and oh so liberating! I now see what is left when fear is released... Freedom. Strength. Potential. Courage. Curiosity. Living from one's highest aspect cannot happen without shedding the layers that burden us. We must be willing to delve deep in order to be reborn and open to where we can manifest freely from our true nature. One of my greatest lessons during this journey was that I have been hiding most of my life when, ironically, all I have ever wanted is to be seen, heard and loved (the good, the bad, and the ugly). I am not always pulled together and even less so while focusing on my spiritual path. Its not just angelic breezes that meet me along the way... I fall. I crumble. I cry (snot dripping down my nose style). I feel like I want to give it all up. And yet, I get up time after time. The Phoenix must be my totem. One must tap into trust and vulnerability in order to get to the depth of the soul and let go of separation paradigms. We must be accepting of where we are, our fears, and allow ourselves to be seen, held and supported during the process. The sobering lessons faced during a healing retreat are the most potent opportunities for us to transform and become Alchemists of our own lives. It is all contained within. We are the Masters of our lives and no one can take that away. No one else can do the work for us. The wisdom and experience of the Paqos and the energy of the Andes are the greatest catalysts I have ever come across. I have yet to find growth facilitators as efficient and I have covered some serious ground when it comes to personal development and healing my past! I am forever grateful to Jeffrey Wium, Adolfo Ttito Condori, the Ayllu, the Apus, Pachamama, the Celestial Beings and all the powers that come together in these magical retreat environments. If you feel like it's time to let go of everything that is holding you back, then I highly recommend jumping in heart first and live from a place of deep authenticity, strength, integrity and Love.